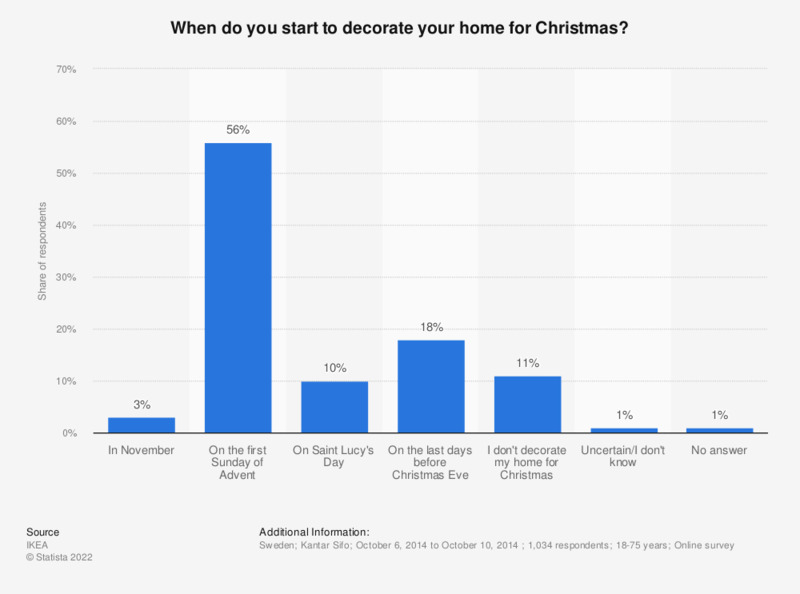 This statistic shows the results of a survey on the best time to start decorating for Christmas in Sweden in 2014. During the survey period, 10 percent of the Swedish respondents stated that they start decorating for Christmas on Saint Lucy's Day. The original question was phrased by the source as follows: "När börjar du själv julpynta hemma?"